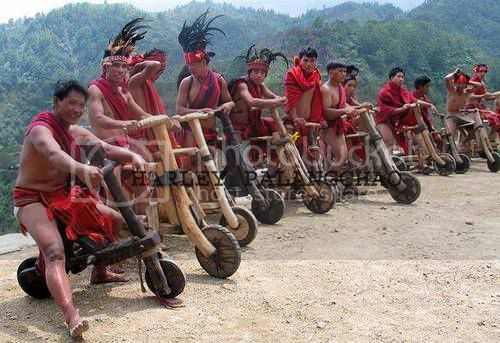 they should have shrunken heads hanging on the handlebars. no offense meant. mountain tribes are fierce!
" Iiiiiiiyaaaaabadabadoooooo! Meet the Flintstones! Their the modern stoneage family!" "Hell's angels of Bedrock!"